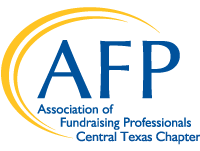 Join us as Amy Albritton Eaker, J.D., Senior Director for Gift Planning, Baylor University, shares planned giving essentials. Amy joined Baylor’s University Advancement team in 2016. Before joining the team at Baylor, she served Southern Methodist University as Director of Planned and Endowment Giving for four and a half years. Prior to SMU, Amy was Vice President at J. P. Morgan Chase Bank, N.A., in Dallas for eight years and, before that, was an estate planning and probate attorney in private practice. She earned her BA from Baylor in 1994 and her JD from SMU in 1999.